Last updated 01 March 2019 . By Olivia Cheves. Standing outside the shuttered front of Coldharbour Lane’s Fancy Funkin Chicken you wouldn’t be mistaken in thinking you’d turned up at a closed restaurant. Last July the fried chicken restaurant was on the ropes, as rent hikes left them unable to maintain their Brixton roost. But the local business community rallied around them, and they’ve found a new home at next door’s Market House, so we went down to see how the new digs are suiting them. 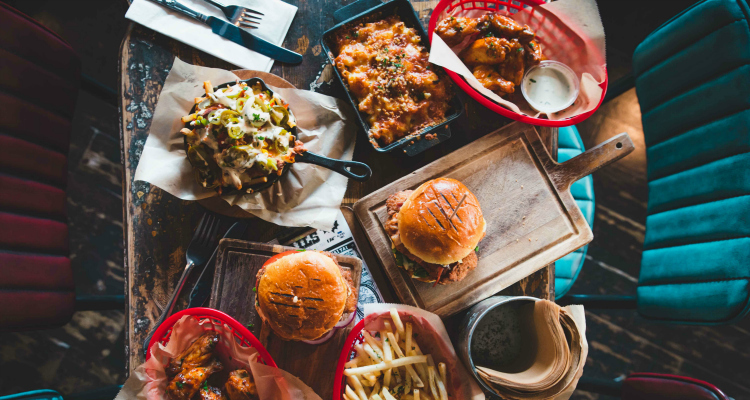 The Coldharbour Lane spot has become the go-to for fried chicken and loaded fries. Seating ourselves amongst the post-work drinkers and diners of a Tuesday night Market House, we grab a cocktail to warm up the stomach. I opt for the New York Sour (£8.50) which comes served with a perfect froth and a crimson swirl of red wine that adds a nice dryness into the mix. On to the food, the Funkin Burger (£8.50) is simple but very effective. A hunk of crispy fried chicken sandwiched between lettuce, tomato, red onion and crisped bun, with a fine slathering of homemade burger sauce making it hit the spot just right. 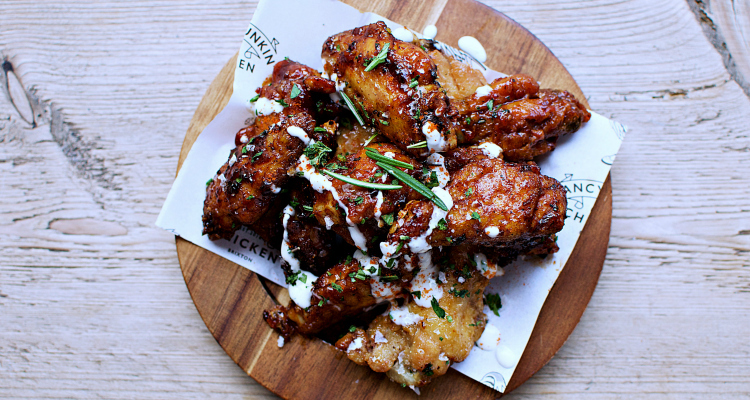 As for the Buffalo & Blue Cheese wings (8 for £6.99), they pitch up as a steaming pile of sauce-drenched chicken that will result in the soiling of every napkin, t-shirt and smartphone screen in the immediate vicinity. They also serve up some of the sauciest wings in the game. The side-game at Fancy Funkin Chicken is strong, with slaw, salty chips and mac ‘n’ cheese all making an appearance. We initially grabbed a basket of Corn Fritters (£3.50), moreish bites of fried sweet corn that seem purpose-built for mopping the remnants of buffalo & blue cheese sauce. Then came the Ranch Fries (£5.50) - a mini monolith of crunchy fries dressed to excess with melted cheese, jalapeños and a fair sluice of ranch sauce. There is nothing side about this dish - it is a main event that demands both your attention and whatever space you have left in your jeans. Fancy Funkin Chicken is dead, long live Fancy Funkin Chicken. In spite of what last year brought them, this poultry paradise has prevailed, adapting seamlessly to the new space and continuing to bring you some of the most lip-smacking comfort eats on Coldharbour Lane.